Shanghai is currently the world's 40th most expensive city, but expatriates tell another tale. Those who have lived in the city know that a comfortable life is perfectly possible as long as one works his keep. The standard of living in Shanghai is not exactly cheap, but an expat who knows how to manage his finances will even find opportunities to save. In general, real estate might be a bit of an issue, especially for expats who have just moved, but other commodities are notably affordable - one reason why Shanghai is considered a good option for those who have moved in search of a brand new home. 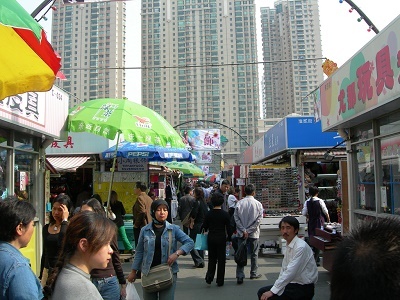 In Shanghai, housing costs can be varied depending on the location and the age of the housing units for rent. Colonial houses in the same neighbourhoods could be rented with a minimum of about USD$1,200 up to about USD$60,000. Because there could be various issues involved in Shanghai house rentals such as heating and utility payments, get an expert's advice to help simplify the rental process. Regulations for buying properties in Shanghai are continually changing, especially for expatriates. Right now, foreigners can buy only one house in the city and only if they have a residence permit and have lived in it for at least a year. There are also two ways to own properties - with user rights, whereby the buyer has rights over the land and freehold rights which only cover ownership of the property. Foreigners can only buy freehold rights which hold up to seventy years and may be extended for payment of a certain tax. Home rentals may be far from cheap in Shanghai, but other commodities are relatively affordable. Food can be quite cheap in the city for local cuisine. If you wish to find more variety, however, it can be pricier. Public transport is another cheap thing in Shanghai.